Our final afternoon in Sri Lanka was spent with the elephants of Pinnawala. When we arrived at the Hotel Elephant Park for lunch I was frozen in awe. Dozens of elephants were bathing in the river below me. Looking from left to right in sheer astonishment, my jaw dropped. “You have got to be kidding me…this is real? 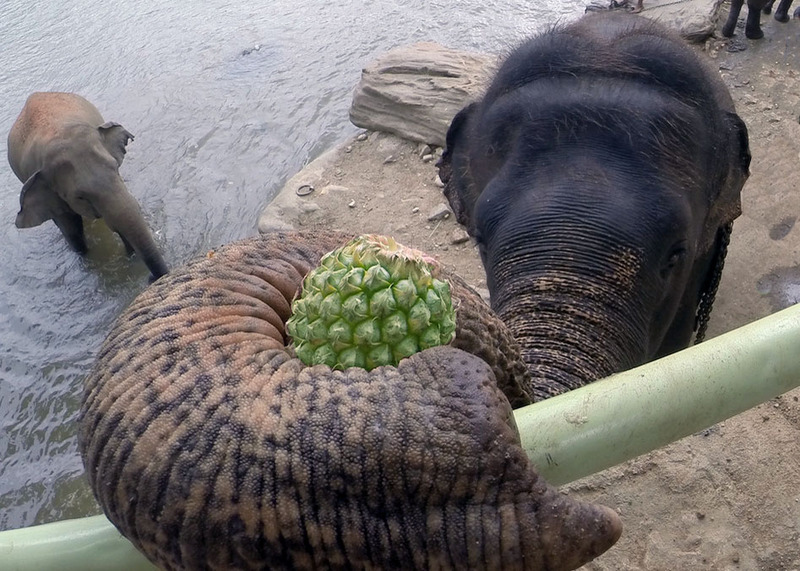 !” We placed our order and walked to the restaurant ledge where our guide, holding a bag overflowing with pineapples and bananas, arranged for us to feed an elephant.